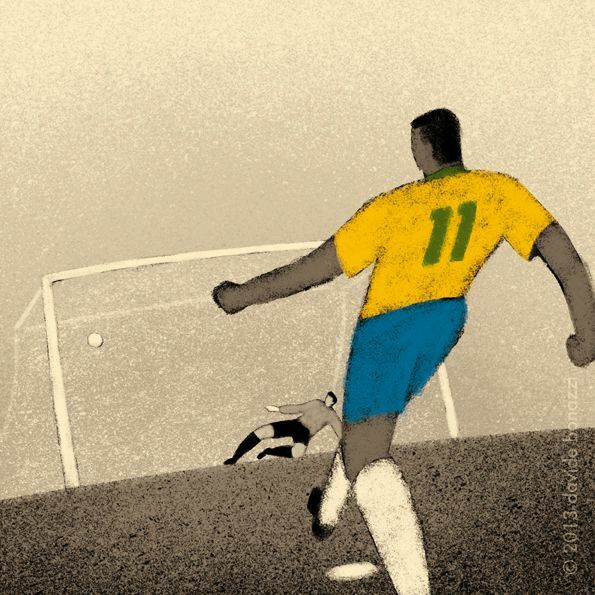 Last week we drew your attention to the remarkable and provocative conceptual illustrations of Davide Bonazzi, this week, and with only seven days to go until the launch of the world cup, we take a look at his History of the World Cup illustration series. 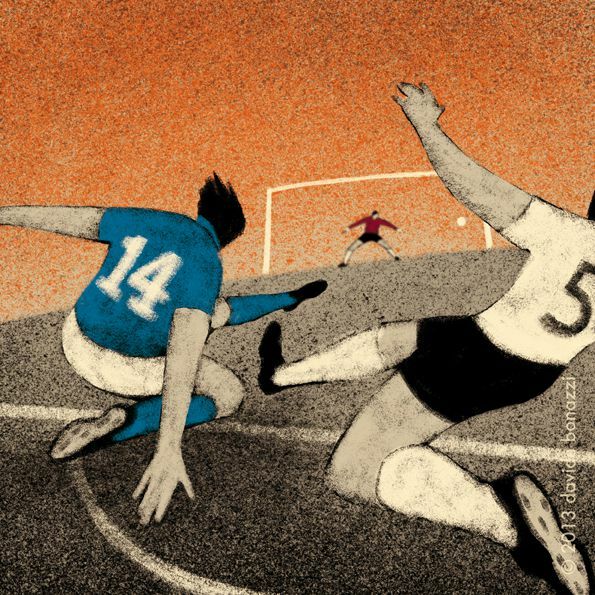 The series, designed again in Davide’s unique illustration style, celebrates the most important goal from the final game of every single world cup from 1930 to 2010.
Who can forget the Tradelli ‘urlo’ in 1982? 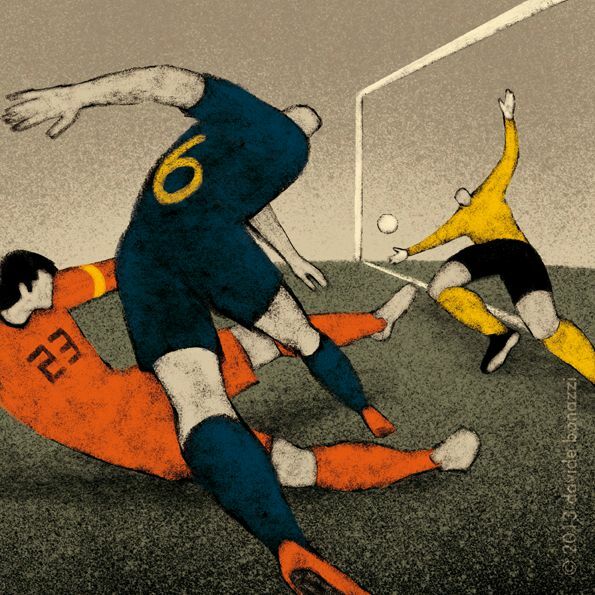 Or Iniesta’s break-through goal against Holland in 2010? 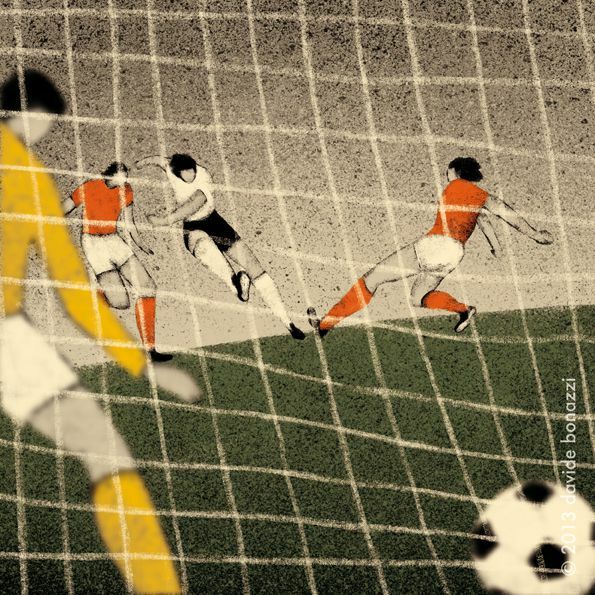 And yes, there is also the Geoff Hurst goal against West Germany in 1966, that may or may not have (it didn’t!) 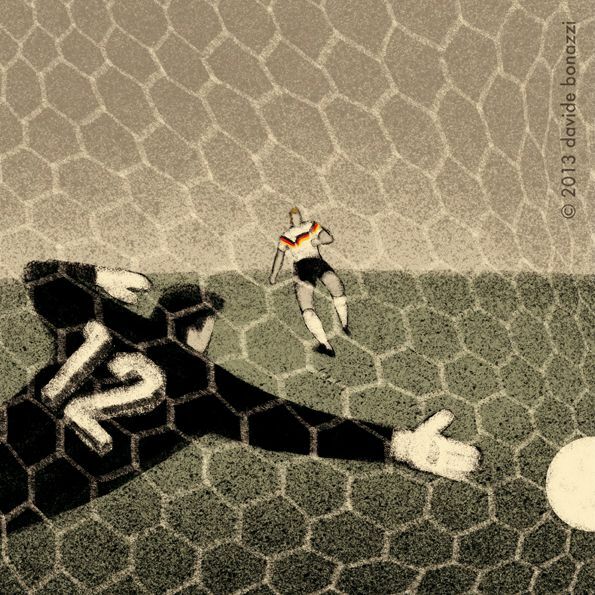 crossed the line. 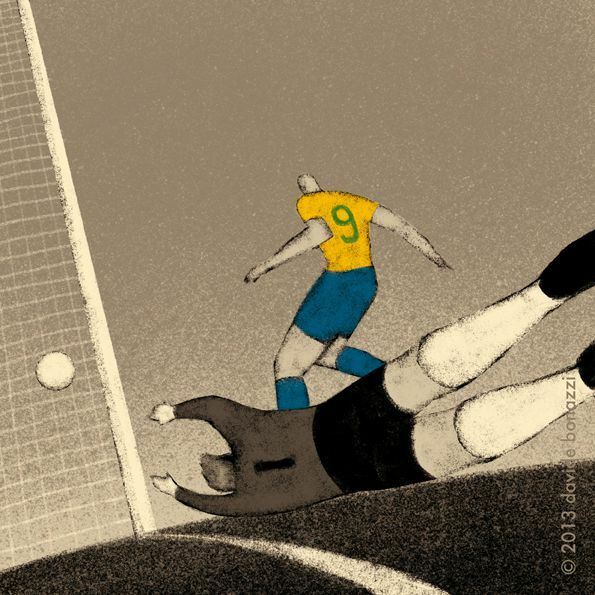 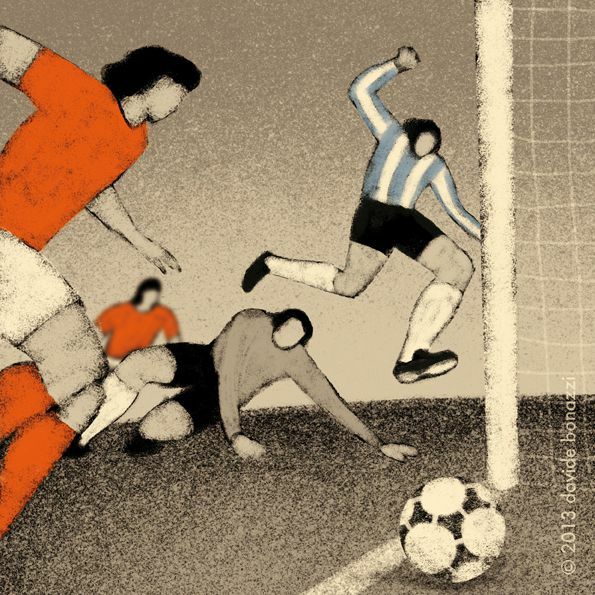 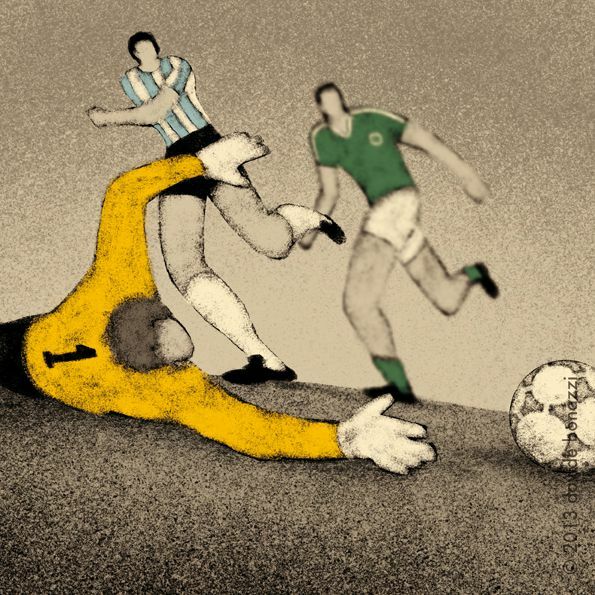 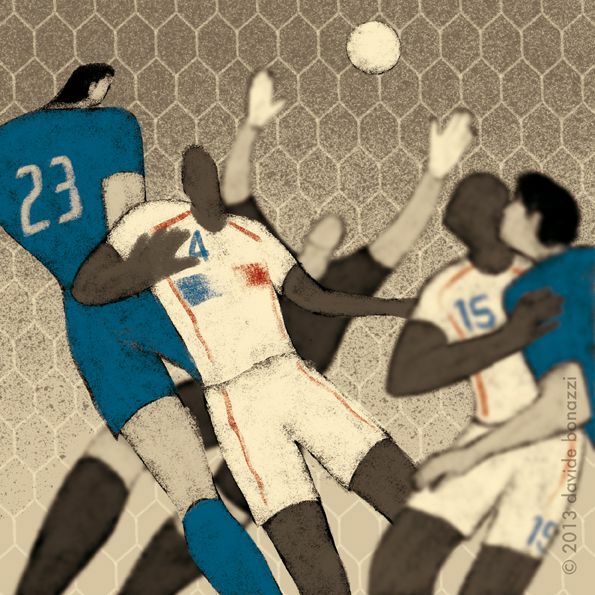 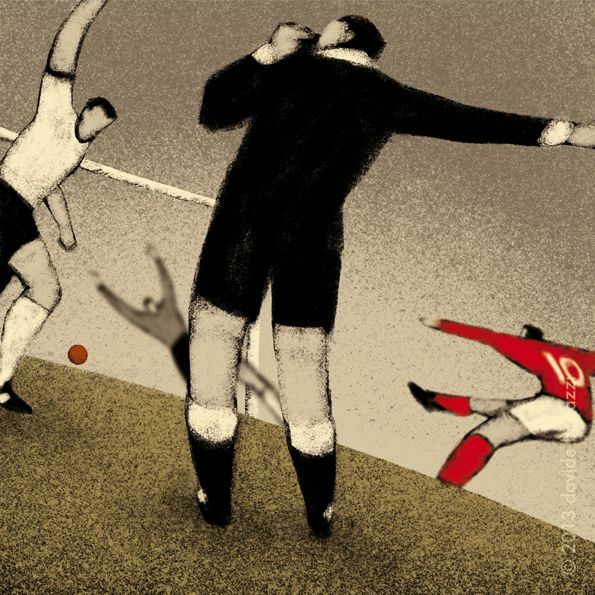 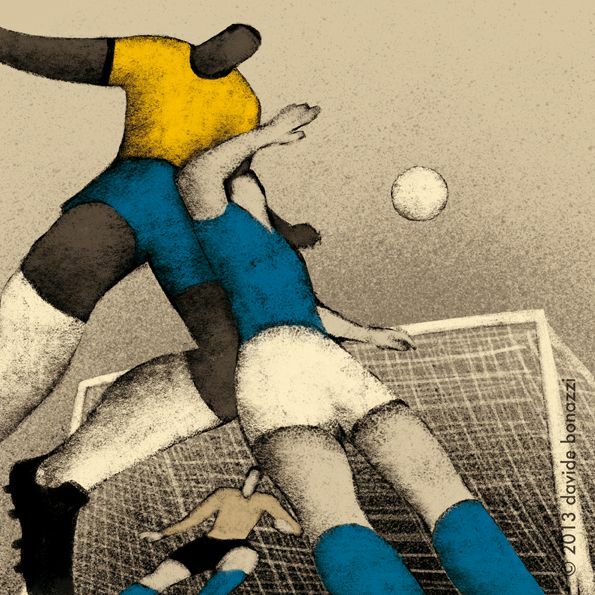 These illustrations are a true historical celebration of world cup football. 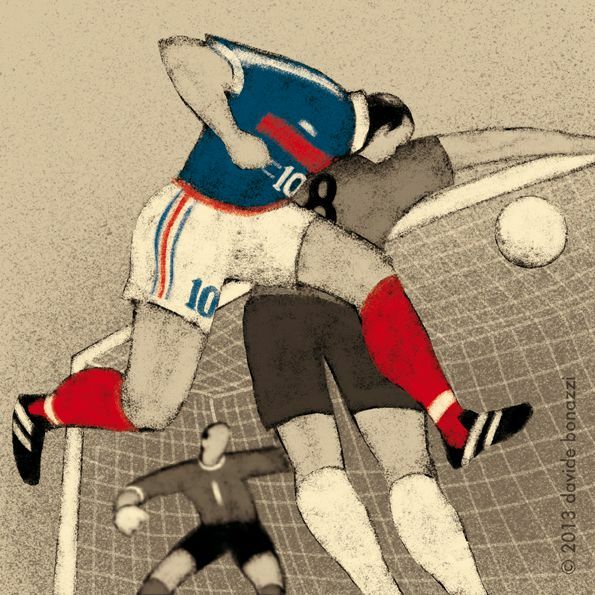 For all of the other goals, visit History of FIFA World Cup on Behance.